Whenever the phone rang at the home of Paul and Roy Deacon in the early morning hours, it often meant that someone had died. The family owned the Deacon Memorial Funeral Home and had buried the loved ones of Mobile, Alabama's black families for more than one hundred years. On the morning of March 21, 1981, the call was different: The body of nineteen-year-old Michael Donald had been found hanging from a tree on Herndon Avenue. The murder shook the citizens of Mobile, especially the Deacon brothers. They had called Michael Donald a friend. As the brothers navigate through their teen years, they face familiar rites of passage—prom night, graduation, college life—but the family business forces them to confront the rites death brings for passage from this world to the next. Roy and Paul search for solace from the grief of their murdered friend, from church sanctuaries to cemeteries, protest marches to courtrooms, from the tree-lined streets of Mobile to the dark beach roads on the Eastern Shore. The brothers and their hometown also have to face the ramifications of the first lynching in more than sixty years. Mobile had been as peaceful as its tree-lined streets were beautiful, but the murder gave the city its own sad chapter in Alabama racial history. Like Birmingham's four little girls, Selma's Bloody Sunday, and Tuskegee's experiment, Mobile had the murder of Michael Donald. 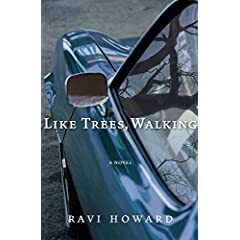 In this riveting debut, Ravi Howard explores a fictional aftermath of a true story that will both haunt and illuminate. The novel examines death, faith, truth, and justice, elements that often intersect and at times collide. An old tale set in modern times, Like Trees, Walking explores the complexities and the promises of America's New South.